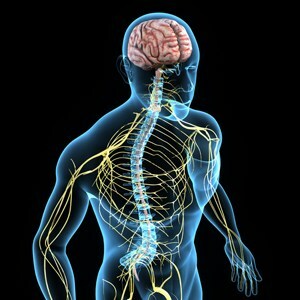 Nerve mobilization is a type of nerve therapy that aims to specifically locate and treat fixations of nerves all throughout the body. The treatment is performed by applying gentle, precise pressure to the nerve in order to glide or floss it through the nerve sheath, which is made of connective tissue and surrounds the nerve. One of the most common places for a nerve fixation is on the sciatic nerve, also referred to as sciatica. If there is a fixation, it can send abnormal signals to the structure that it innervates whether it is a muscle, connective tissue, an organ, or even parts of the brain. These fixations can cause an abnormal change in pressure within the nerve causing nerve tension. A muscle may be spasmed, connective tissue may be restricted, an organ may function with less efficiency, and/or areas of the brain could possibly be inhibited. By performing a nerve manipulation on the nerve fixation, the nerve would move more smoothly through it’s sheath without restriction and the neural pathway would have proper signaling to the compromised structure that it innervates. This should improve function and decrease nerve related symptoms such as pain in the arm or leg, numbness, tingling, and/or burning.